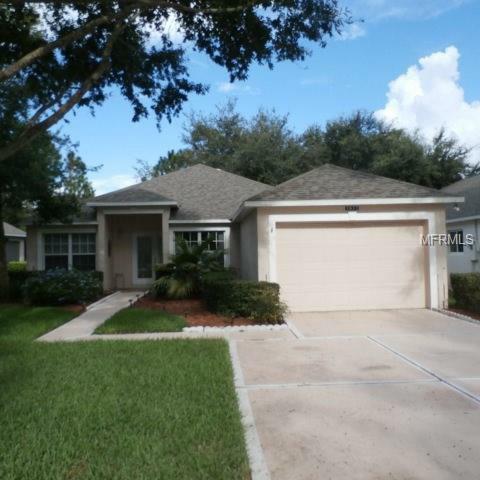 Bring your buyers to this well maintained "Crown Model". Interior has been freshly painted. New roof in 2017. Laminate flooring through out with the exception of the kitchen and baths. Eat in kitchen with a closet pantry is the perfect place for that morning coffee. All appliances are included including washer and dryer. Inside utility room leads to the garage. Patio is screened and with no rear neighbors is a great place to unwind and enjoy an adult beverage. Kings Ridge is an active adult community located in Clermont with easy access to major roads, health care, shopping, restaurants and entertainment. You can use a golf cart to get to grocery, restaurants, banks and many other services! Community has gated entry, 2 clubhouses, 2 pools, 2 fitness areas, a recreation building with activities for everyone. 2 golf courses, tennis courts, pickelball, and shuffle board for anyone wanting to stay active. The club house is home to many activities including classes, social events, and entertainment. Monthly dues include clubhouse membership, exterior painting every 6 years, lawn maintenance, irrigation water and care of system, mulching and basic cable.